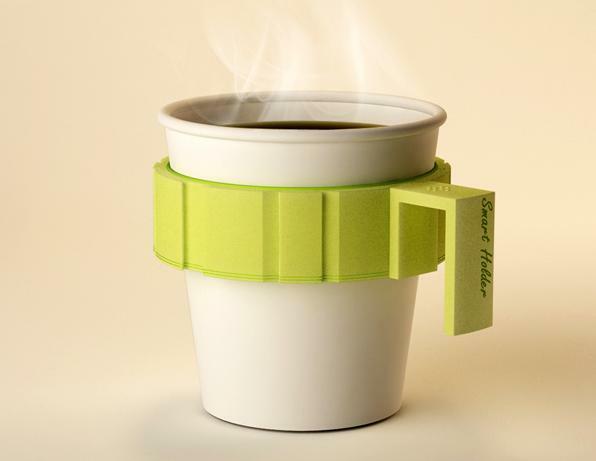 Collection of 'Super Awesome Holder Designs' from all over the world. Buy me CD Holder: Marián Laššák designed this Buy me CD holder. Fetch Magazine Holder: An interesting design by Rafael Morgan and P Hendrikx, from Studio Mango. 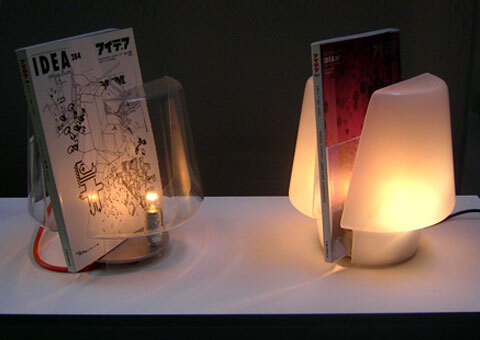 Magazine Lamp: This cool reading lamp doubles as a holder for your magazines. 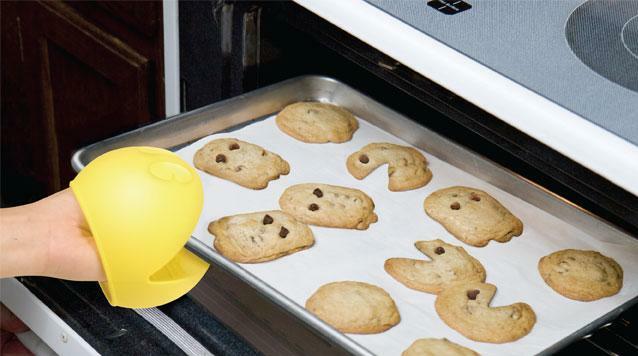 Pencap Pen Holder: This cool pen holder comes in shape of a pencap. Washing Machine Tissueholder: This washing machine tissueholder was created for the advertisement of the 'Ideal Zanussi-ZI 820'. 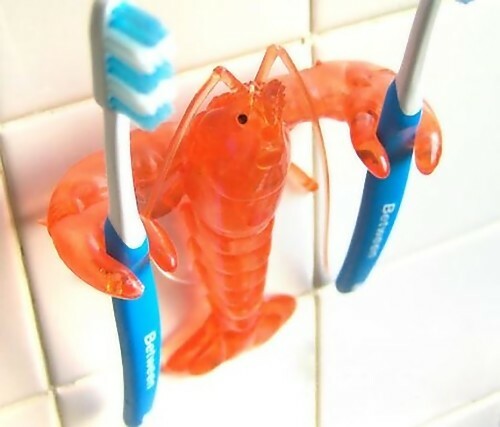 Crustacean Toothbrush Holder: It uses both of its pincers to hold a toothbrush each. 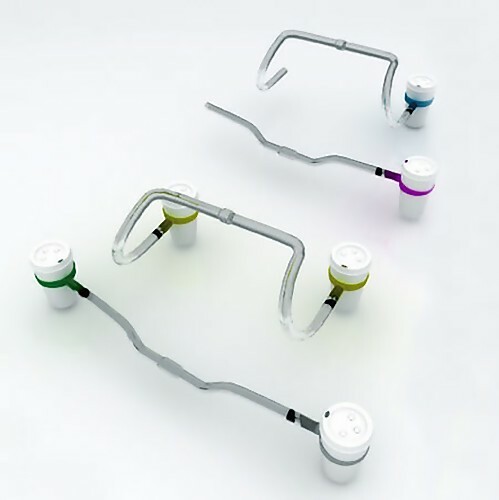 Smart Holder: It has an interlocking system that allows you to connect multiple cups together. 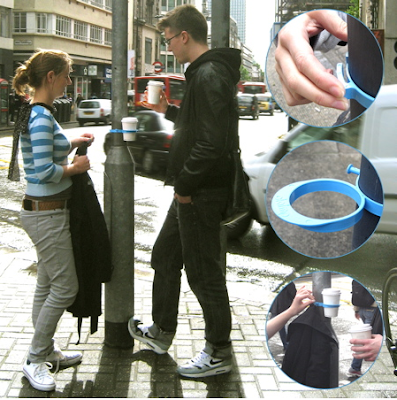 Urban Cup Holder: The cup holder can be easily clamped to the posts in the street, and then used as a drink holder. 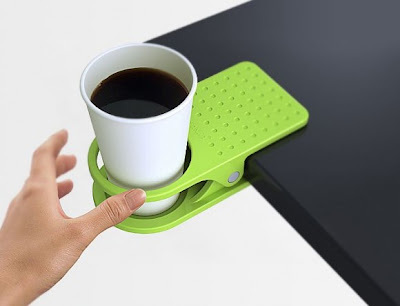 Drinklip: Creation of designer Beeen Kim, this coffee cup holder can be attached to the side of a table or desk. 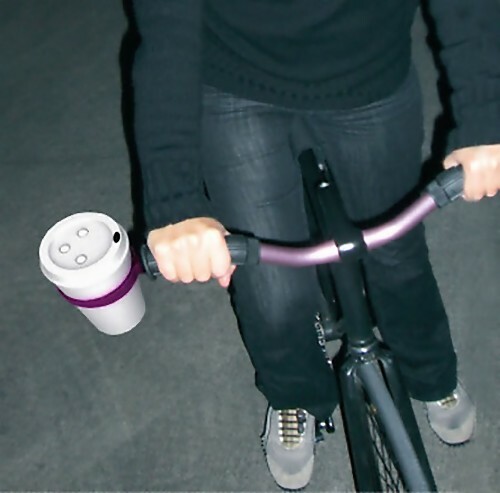 Ring-o-Star Coffee Cup Holder: Ring-o-star bicycle coffee cup holder can be attached to the handlebars of the bicycle. 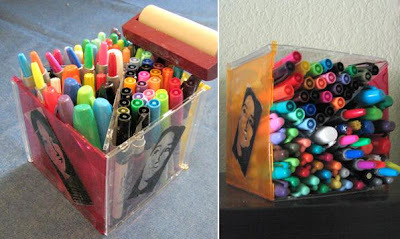 Jewel Case Pen Holder: You can create this cool penholder out of slim jewel cases and you can also decorate the sides with pictures or artwork. Joyce Wood Candle Holder: These creative candle holders are made from pieces of wood with openings filled with a super bright white material. 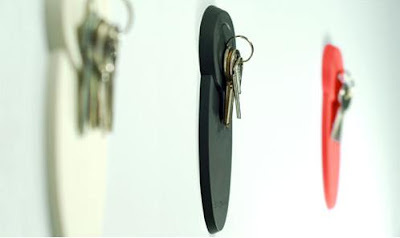 Keypad Key Holder: It uses a hidden super magnet that can hold on to any steel on your keys for easy storage. 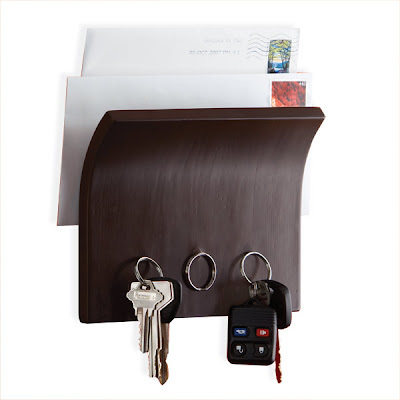 Magnetter Key Holder: Simple yet stylish design holds your keys and the curved top is a perfect place for incoming and outgoing mail. 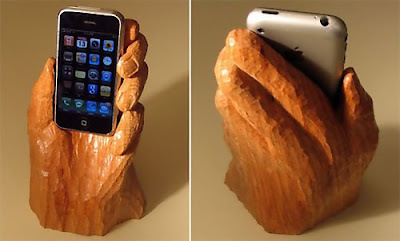 Woodenhand iPhone Holder: It's a realistically handcarved wooden iPhone base. 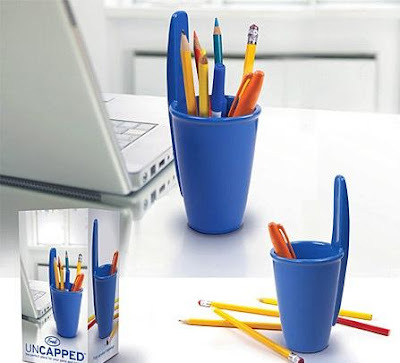 Multi Purpose Holder: This holder is perfect for any desk; it has a tapedispenser, paper clip storage, pens, pencils and memo holder. 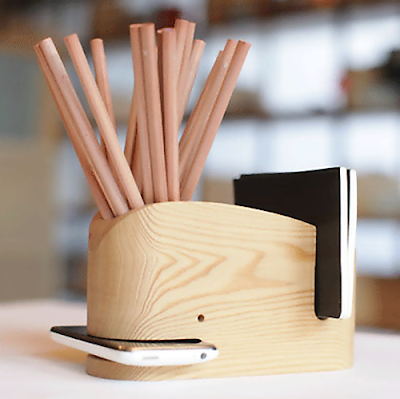 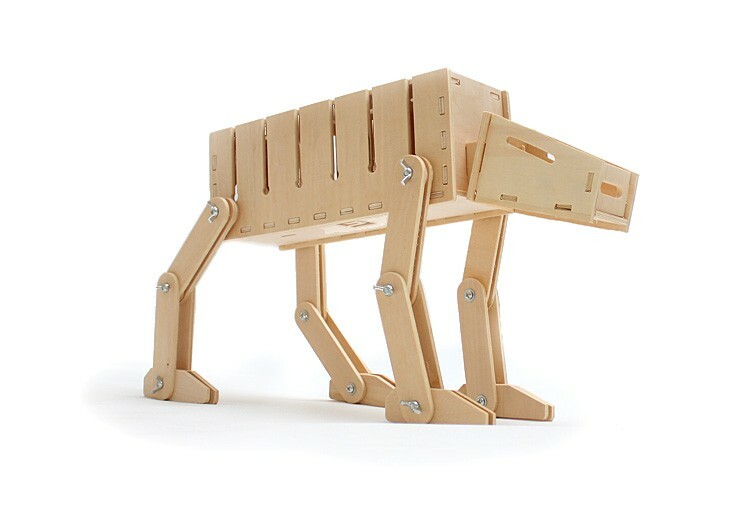 Wood Whale: It will hold all your desk items in one place. 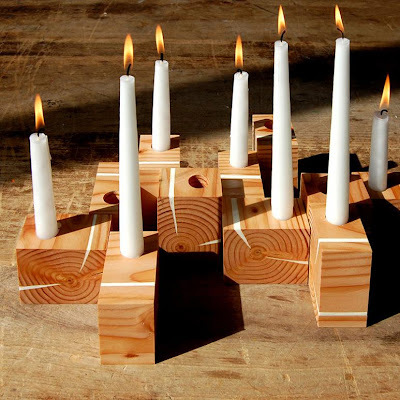 These are handcrafted from reclaimed timber. 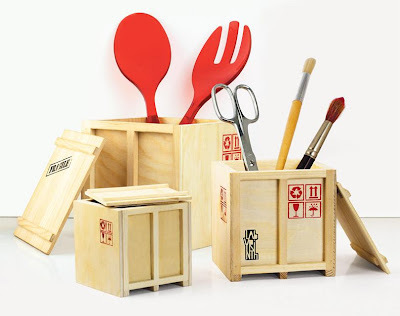 'Inbox' Mini Cargo Crates: These heavy-duty wooden shipping containers have been re-sized to your pens, tools, silverware, or any small items. Hedgehog Pencil Holder: This hedgehog pencil holder comes with 24 colored pencils. Yellow Pages Business Card Holder: A unique business card holder created using 394 pages of the yellow pages. 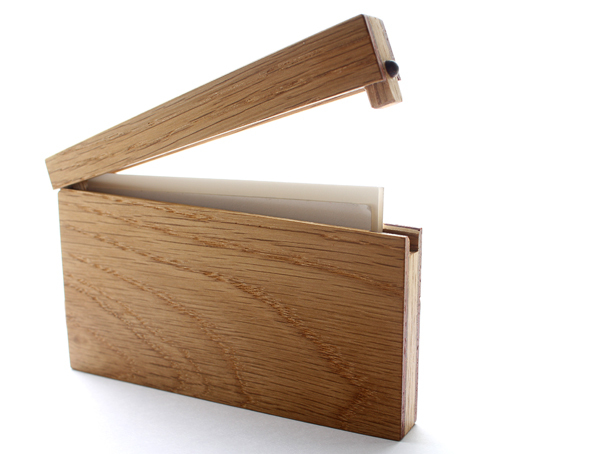 Wooden Business Card Case: Made from Japanese oak, each case is handcrafted and has a magnet embedded in the wood to close them shut. 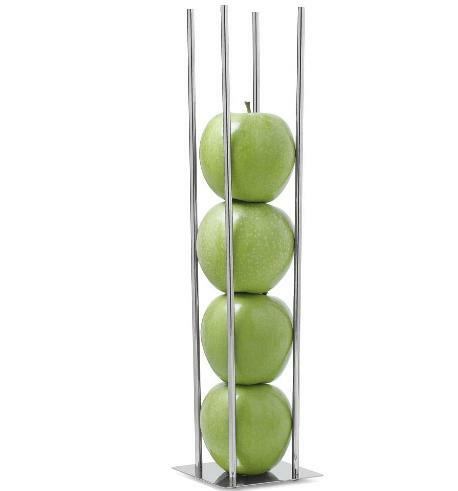 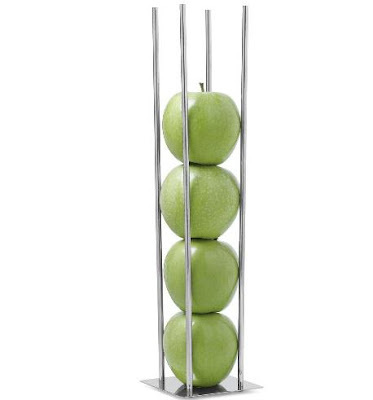 Fruit Holder by Chiasso: The fruit holder by Chiasso holds the fruits vertically up for display and easy access. 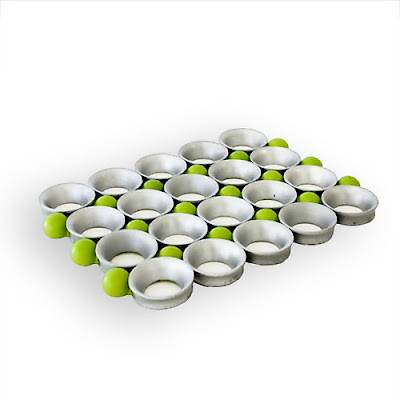 Fruit-Template: It's a fruit bowl that looks like an indented surface and not a three dimensional object. 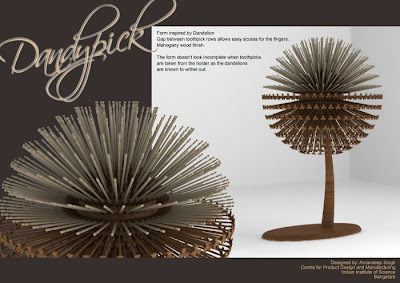 Dandypick Toothpick Holder: This cool toothpick holder gets its inspiration from the dandelion. 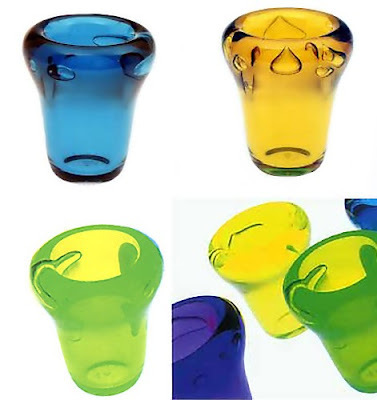 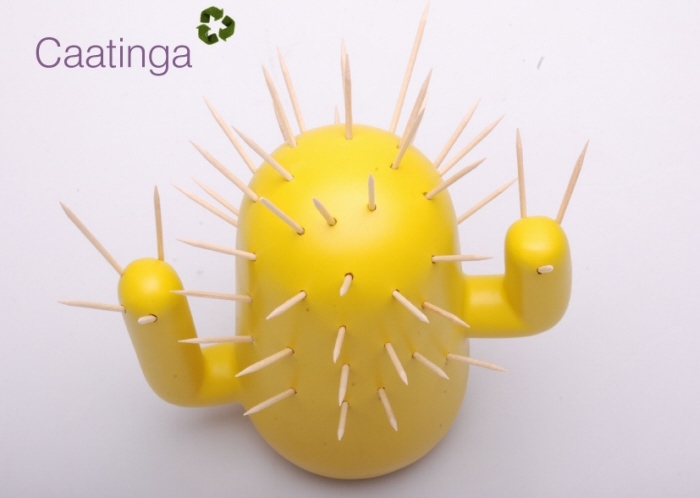 Caatinga Toothpick Holder: Its a cactus shaped toothpick holder in bright colors. 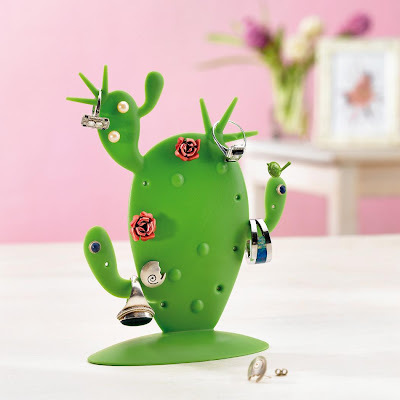 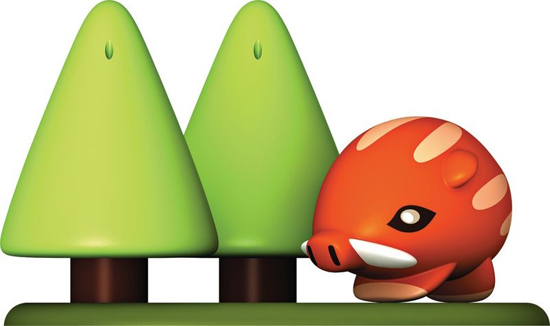 Forestgump Toothpick Holder: A cool toothpick holder that becomes a spiny animal and salt and pepper shakers disguised as trees. 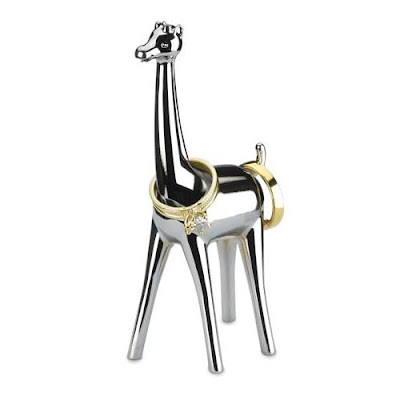 Giraffe Ring Holder: This cute chrome ring holder comes in the shape of a giraffe. 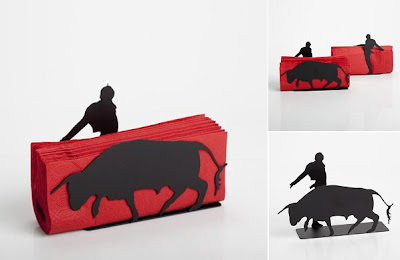 Red Napkin Holder: A humorously designed napkin holder that comes with a brave matador on one side and a raging bull on the other. 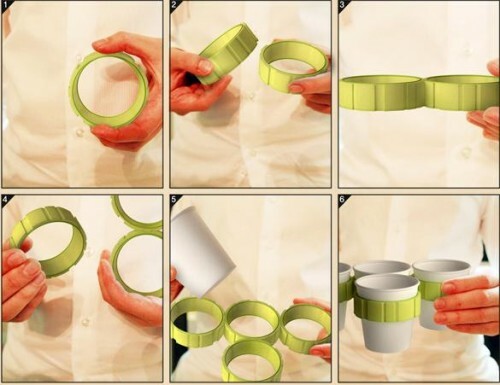 And addition of red napkins is sure to make the combination perfect. 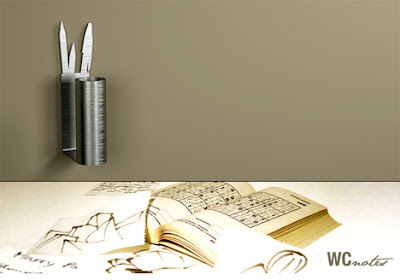 Servietta Napkin Holder: It's a napkin holder made in Switzerland wayback in the 1950s. 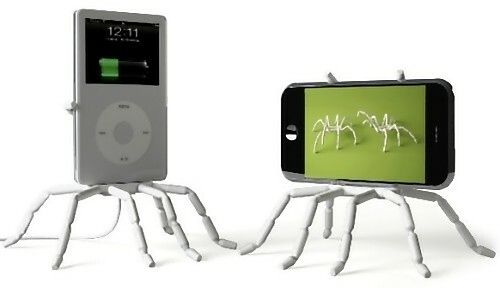 Spiderpodium iPhone Holder: This cool iPhone holder holds your device on eight bendable spider-like legs. 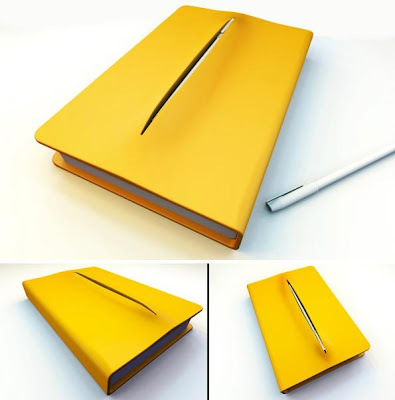 Notebook with Pen Holder: Designed by Teo Song Wei, the penholder is right in the middle of the top cover of the notebook. 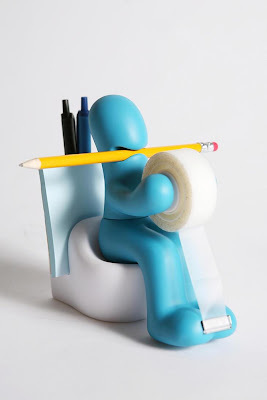 Toilet Paper/Pen Holder: The thought behind this toilet paper/pen holder is that best ideas come to you when you're in the bathroom. 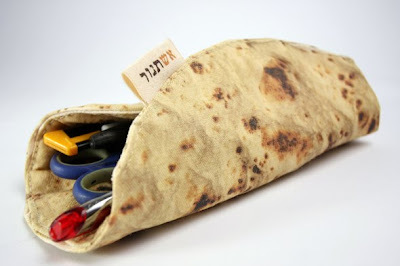 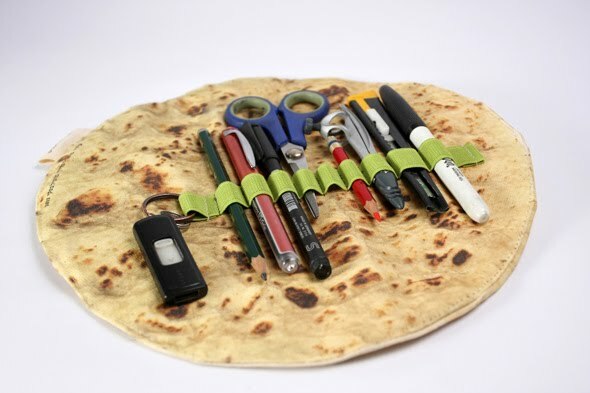 Pita Bread Pencil Holder: In this cool pencil holder you can wrap your pencils, brushes, small tools and more. 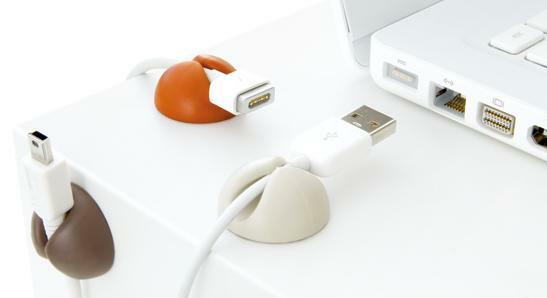 Flexi Tie: It's a reusable cable tie to grouping multiple cords or organizing excess cords. 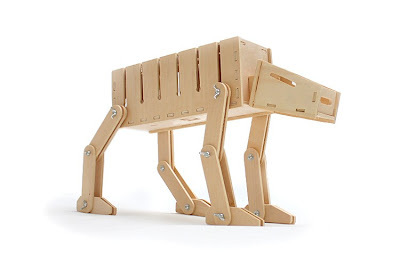 DIY Cable Management Holder: This seems to takes its inspiration from Starwars; its made of wood and you need to assemble it yourself. 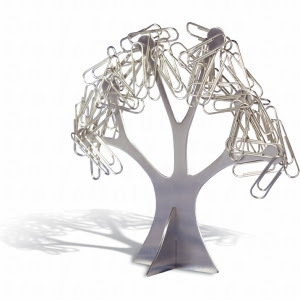 Otani Magnetic Paper Clip Holder: This cool paper clip holder comes in the shape of a tree and the paper clips forms the branches. Koziol Curly The Contemporary Paper Clip Holder: The magnet in the top of Curly's paper clip holder keeps your paper clips tidy and accessible. 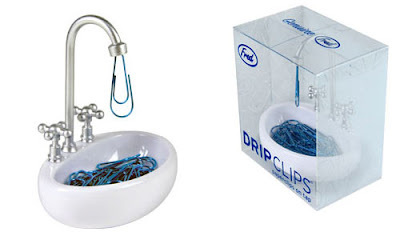 Dripclips Paperclip Holder: Dripclips dangle magnetically from their little faucet in the kitchen washbasin. CableDrop Cable Holder: A simple cable holder with an adhesive back that can easily stick anywhere. 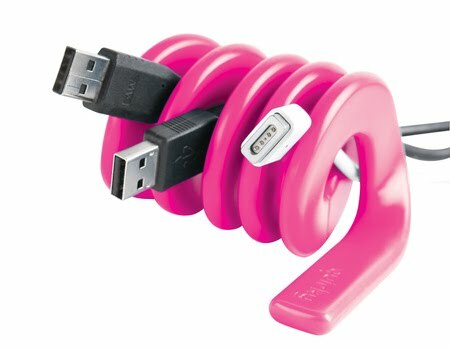 It can hold your USB cables, earphones or pen. 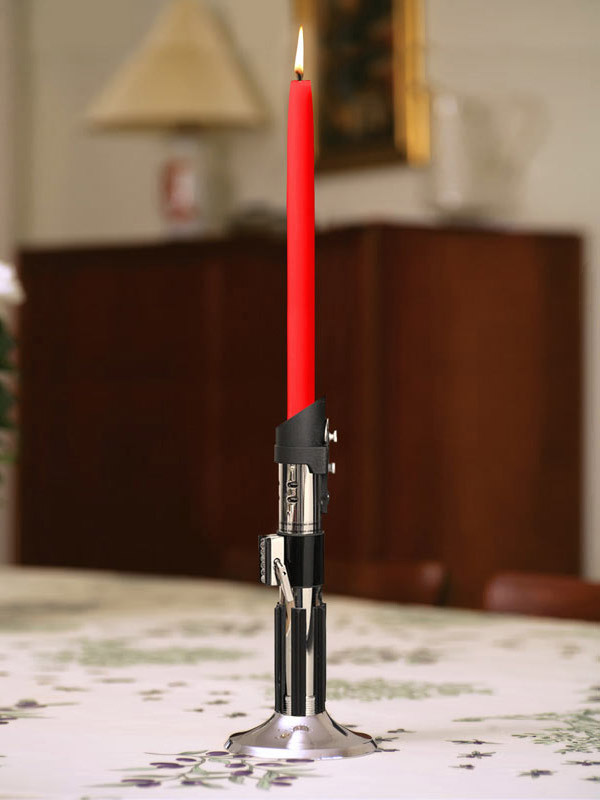 Cordies Cable Holder: This comes in four different colors, made from weighted rubber, so they stay put on your desk. 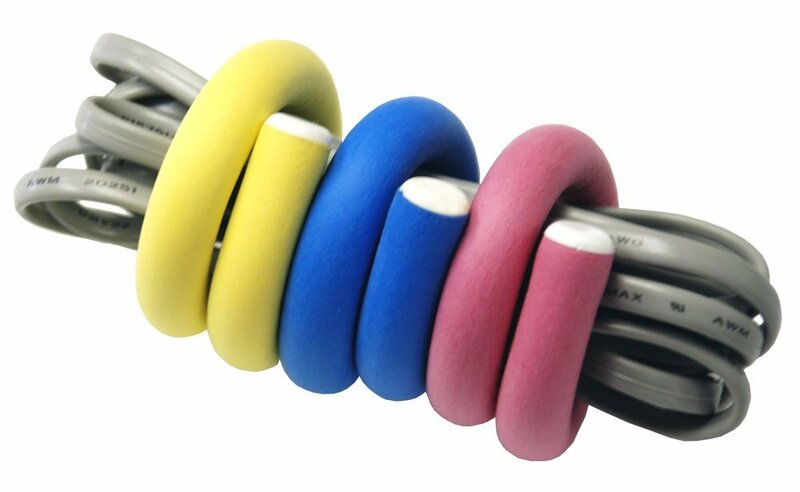 Its construction is similar to a coiled telephone wire and measures only 3.5 inches wide. 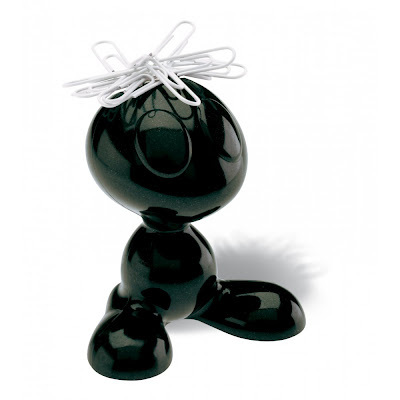 Big Bubbles Toothbrush Holder: The big bubbles toothbrush holder by Alessi designed by Stefano Giovannoni, has a smooth design and comes in cool colors. 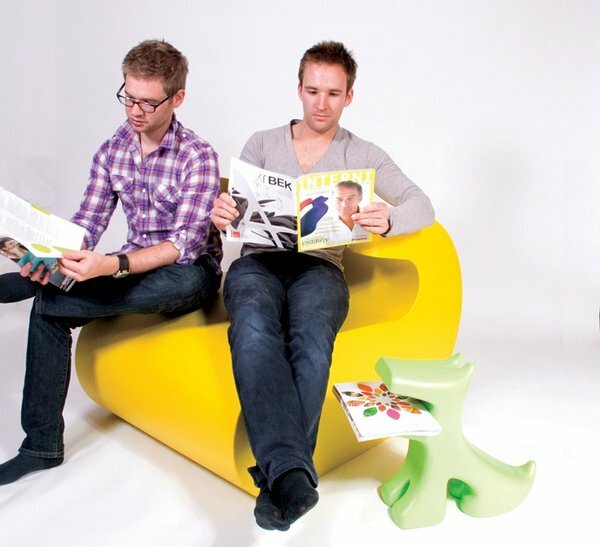 The Sheep: Designed by Dutch design studio Spluss, this magazine storage holder works as a creative seating too. 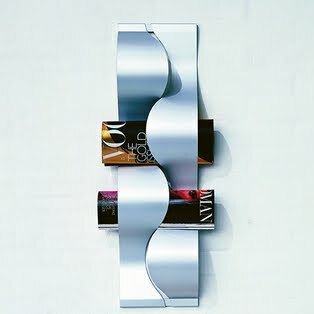 Wallpaper Magazine Holder: Designed by Maria Berntsen. 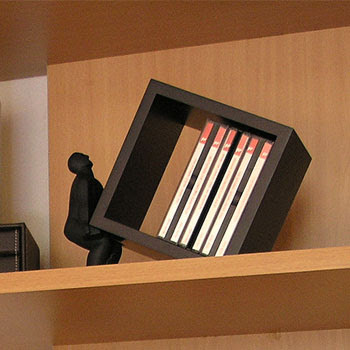 Human CD Holder: Human CD Holder comes in three options: Pushing Man, Lifting Man and Climbing Man. 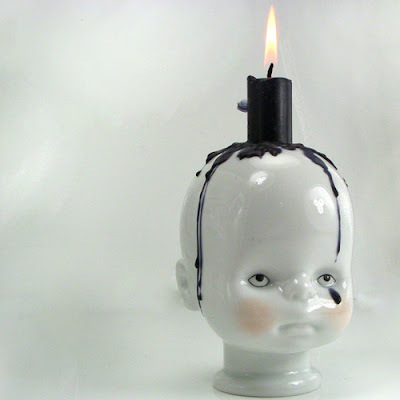 Baby's Head Candle Holder: An unusual design porcelain candle holder that comes in the shape of a baby's head. 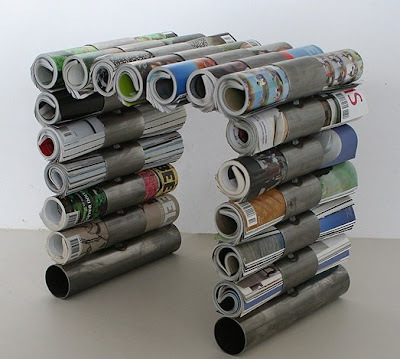 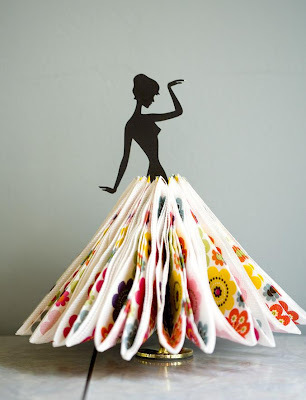 Don't miss to check out "Super Awesome Holder Designs - Part: 1| 2| 3| 4| 5." 15 Creative Pens and Smart Pen Designs - Part 2. 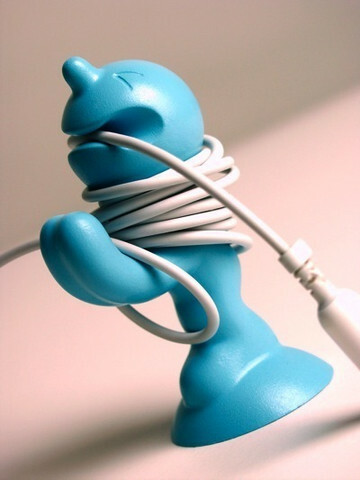 15 Unusual and Creative Computer Mouse Designs. 10 Clever and Cool Puzzle Inspired Advertisements - Part 2. 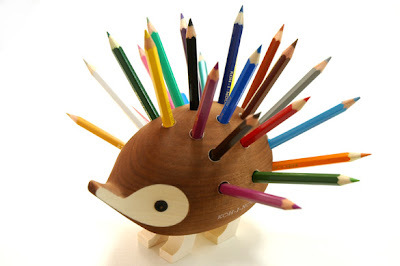 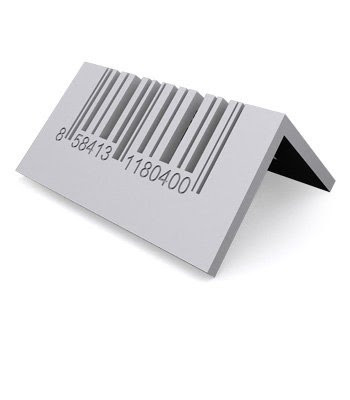 Innovative Pen Markers and Creative Marking Pen Designs. 15 Cool iPhone Cases and Awesome iPhone Case Designs - Part 5.